The Indian Sari Duvet Cover is made from a rich blend of embroidered sari fabrics and hand selected trims, stitched with a cotton lining and tie closures. 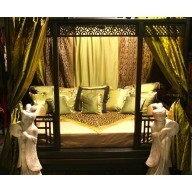 Add matching Sari Pillow Shams for a luxurious bedding set. 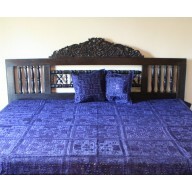 The entire duvet cover was made by hand in Rajasthan, India and imported into the US. The Indian Sari Pillow Shams are made from a rich blend of traditional Indian embroidered sari fabrics and hand selected trims. 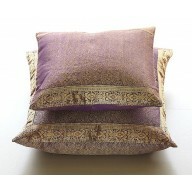 Pillow shams coordinate with the sari duvet bedding. 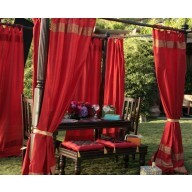 The Sari Shams are hand made in Rajasthan, India and imported into the US. They are sold individually. 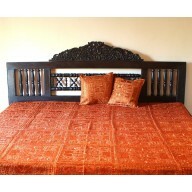 The Indian Sari Pillow Covers are hand stitched from traditional Indian sari fabric and framed with an ornate embroidered trim. 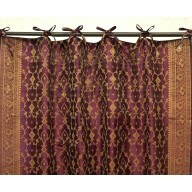 The kela sari is a thick fabric which features a unique vine pattern. 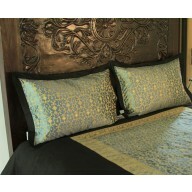 The throw pillow covers have a flap back closure and coordinating intricate border. 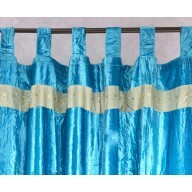 Designed and produced by Worldcraft Industries in Rajasthan, India and imported into the USA. Ships from NM, US. 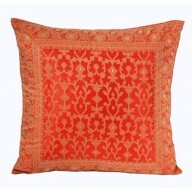 The Sari Cushion Covers are made from vibrant, colorful saris and framed with an ornate embroidered trim. 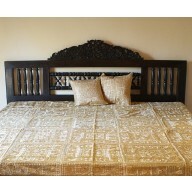 Hand stitched from traditional embroidered saris in Rajasthan, India.